Algorithm allows to double frame rate (fps) of the video stream. This conversion is performed by calculating and inserting the new frames in the stream (see picture). Here we present results of comparison of described (MSU), Frame Repetition (FR) and Linear Interpolation (LI) methods on "akiyo" sequence. 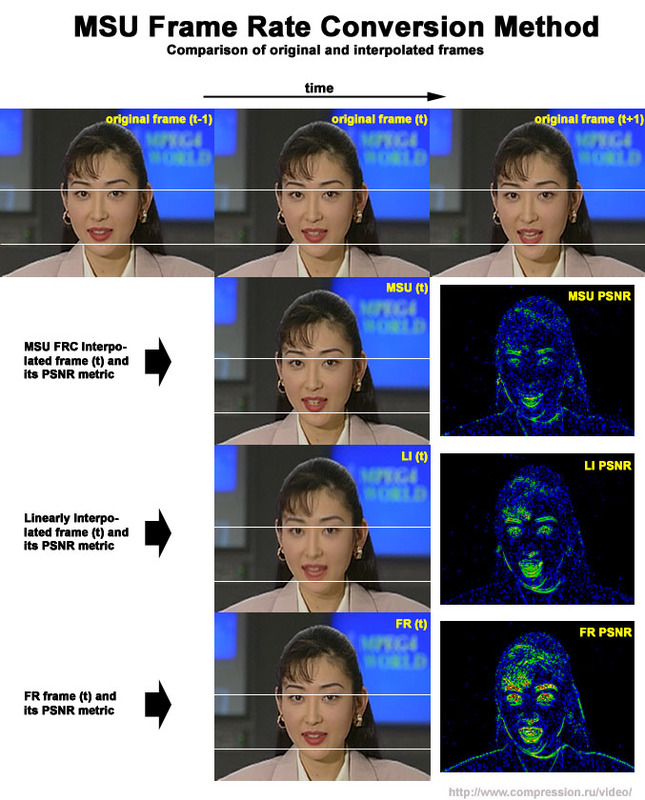 Results include PSNR metric visualization of interpolated frames in comparison to original ones on the right side. Following is the color semantics on these images: red color - high difference region, this difference is visually noticeable; yellow - little less than previous difference; green and blue - almost unnoticeable difference; black - no difference. 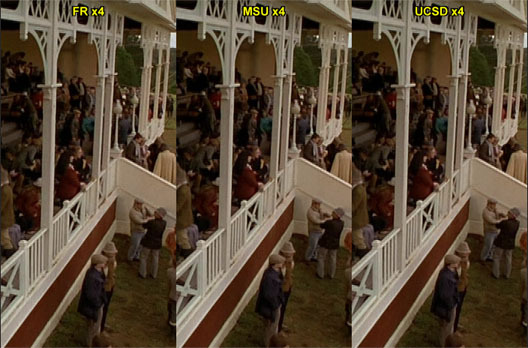 Comparison of MSU and UCSD methods by the example of sequence "dogs"
Frames of MSU and UCSD methods for sequence "dogs"